Are you ready for a wild west adventure on the American frontier, in this free wild west games it’s all about the trains in that period of time. During the expansion of the United States to the west the railroads and industrial also grow larger. These where the golden years out in the west for railroad owners. In this cool new train game full of different steam trains you need to deliver good al around the frontier of the wild west. 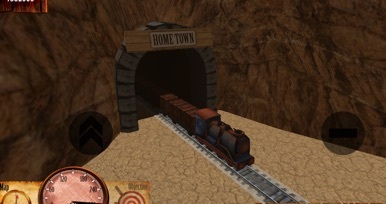 Start out with a simple train, take on missions to deliver goods. Supply the western towns on the frontier with your train deliveries. Stay on track and become a real train driver in the wild west. The old freight train which you start out with, take on funny missions in this kids train game that is even funny to play for grown-ups. Track your train during his drive to the next wild west town. See your train drive from the train yard on the railroad tracks in this western train story. 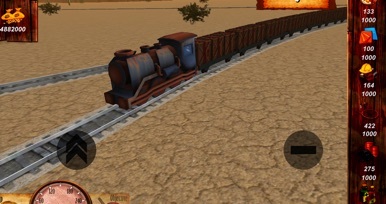 Trains of the wild west is a funny and exciting free wild west game, full of old choo choo trains. Funny western missions, earn money, upgrade your trains and become the next wild west railroad train owner. Trains of the wild west is a real 3D train simulator, this free to play train sim is one of the most fun and child friendly 3D train simulators. 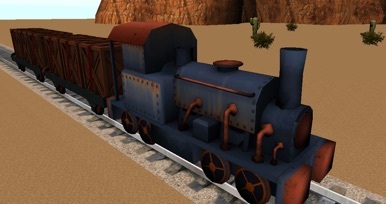 -Upgrade old steam trains from the wild west. -Loads of different and funny missions to take on. -Loads of different railway tracks to follow. 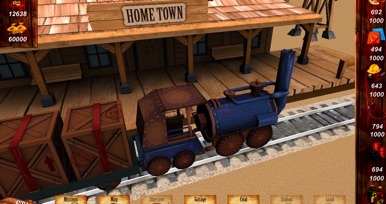 Deliver all kind of goods to the different train stations, expand your wild west steam train collection. Turn up the steam engines and go forward on your own train track. Conquer the wild west!